Note: Today we are beginning the new Wendler Strength Series for the Thruster. Athletes that have not already established their 1 Repetition Max for the Thruster will determine prior to starting the series. How many Athletes can row a sub 1:45 and then achieve 15 or more Burpees on both rounds of the couplet? Congratulations to Jayce who was recognized as Athlete Of The Week at CrossFit Amundson. 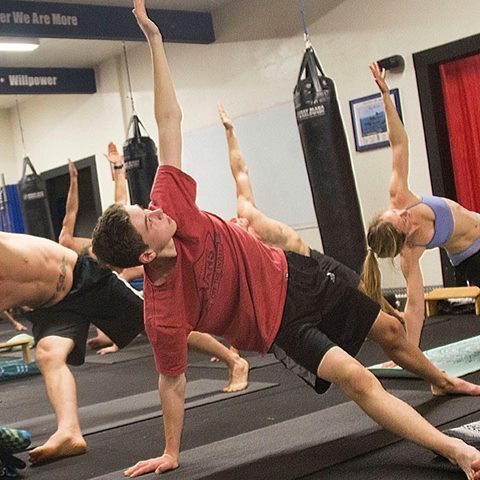 Jayce has been training extremely hard in both CrossFit and Yoga, and the results have been astounding. A regular trooper at the 4PM class, along with his dad and former AOW, Britain Wilson, Jayce has shown the most improvement in his coordination and strength, which has been evident in his weightlifting skills, and his precision in the warrior yoga practices. Jayce has also learned the critical lifelong character skills of patience and perseverance, which will carry him onto the accomplishment of his longterm training goals. Congratulations J-Bird, and keep up the inspiring work!